Capcom: "We'd prefer a game that got a 9 and sold less, than a 6 but sold more." How would you remake Resident Evil 2? Fans have been clamouring for a new version of RE2 since the first game was recreated on the GameCube in 2002. Back then, Resident Evil was known for its fixed camera angles to heighten the tension, and clunky controls (called Tank Controls) that made combat particularly never-wracking. A few years later, in 2005, Capcom decided to change things up with Resident Evil 4, which moved the camera to an over-the-shoulder view and delivered controls in-line with traditional third-person shooters. And last year the developer changed things again with the impressive Resident Evil 7, switching the view to first-person. "Before E3, we were worried that the fanbase would be divided over Resident Evil 2"
So, considering all that, which style do you pick when remaking one of the originals? "We had discussions on whether we could make a game that was everything for everyone," says Capcom Europe COO Stuart Turner. "For those guys who want tank controls and want fixed cameras... can we do that? "But the world has moved on and these players have changed. And if we did [introduce old school mechanics], these fans might play it and actually decide it's not what they wanted after all. But we played around with a few things in development. We did try first-person, we did try fixed camera. But the way the game has been designed, we decided that a third-person view works better." The decision may have been made for creative reasons, but Capcom was still nervous ahead of the game's official E3 unveiling. "That was probably the main worry, or question mark, that we had," explains EMEA marketing director Antoine Molant. "We knew there were expectations around the game, and we knew it looked great and would be a good game. But around the point of the tank controls and fixed cameras, we were worried that the fanbase would be divided. But, although there might have been some initial dissenting voices, the reaction was overwhelmingly positive." Turner adds: "We were concerned internally about who RE2 would appeal to. With RE7 we had done this first-person thing, and with RE2 we've done this thing that looks great, but it's also back a step. So the response to that, the pre-orders we've seen already... we have been a little taken aback by how well it has gone down." Resident Evil 2 is not a typical Capcom remaster. The firm decided against suffixing the word 'Remake' to the title because it's positioning this as a major launch akin to Resident Evil 7. The game was actually in development at the same time as 7, which means there are now two teams working on mainline Resident Evil games. Yet how does Capcom view the franchise today? After Resident Evil 4 in 2005, the publisher took the series into a more action-orientated direction, which fans were not entirely satisfied with. This came to a head with the disappointing Resident Evil 6. Resident Evil 7 was a far superior product that took the series back to its horror roots. However, commercially it's lagging behind its predecessors. RE7 has (so far) sold 5.1 million units, while Resident Evil 6 managed 7.1 million. Fans and critics may see Resident Evil 7 as a comeback, but what about Capcom? "While we have shareholders to appease, it's not just about commercial performance," explains Turner. "There is an artistic element that always comes in where we know this is the right way. And while if we compare RE7 to RE6 the absolute numbers are not the same, in terms of the profitability... it's completely fine. It ticked all of our boxes internally. It was really well received. And in some respects, getting some very good review scores counts as much for Capcom as a game that sells millions and millions and millions. We'd prefer a game that got a 9 and sold less, than got a 6 but sold more." Molant continues: "We are less focused on Day One sales these days, too. We are looking much more at the long-term. And in that case RE7 is performing amazingly. Even now, after almost two years, it's still the VR flagship title. That helps keep the game selling well." 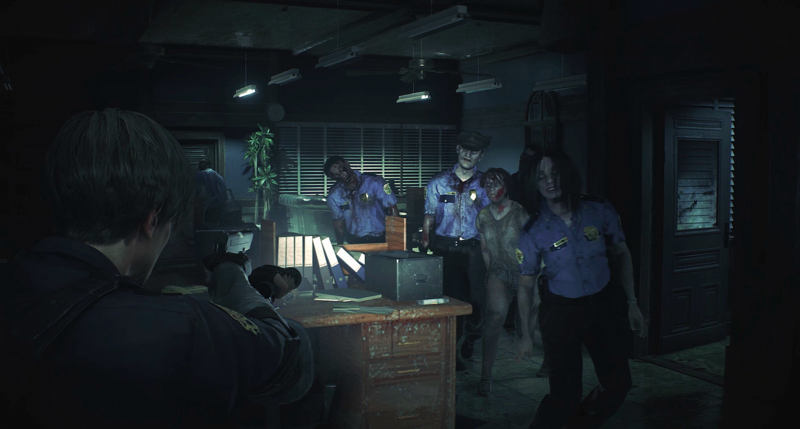 Resident Evil 2 is set to arrive during the last week in January, a release slot that's been a favourite amongst Capcom's senior team for several years now. "We even have internal meetings where we have a game that is penciled in for a certain window, and we then stop, think and just go: 'Let's put it in that January slot'," Turner says. "People seem to have cottoned onto it now. Whereas everything used to come just before Christmas, you are starting to see a lot more quality titles coming during the first quarter. "We know our titles and our audience, and we know the appeal we have, and we also know what our competitors try and do. We're not going to stand up to those companies dropping tens of millions on marketing. We are, in some respects, a boutique publisher, and that January window fits with us." Turner again: "There are rewards that can come in launching before Christmas, but that also comes with inherent risks. And culturally, you could say, as a Japanese publisher we like to avoid risk rather than gamble on having a massive success. That's not to say that at some point we won't go: 'Hey, next Monster Hunter, let's make it a Christmas title'. But at the moment January represents low risk and high returns, and now we're starting to see other publishers in there." Molant again: "At least we're not February 22nd [when Metro Exodus, Days Gone and Anthem are set to launch]"
Resident Evil 2 has a lot to do if it wants to beat Capcom's most recent January hit, Monster Hunter World. After six months, it is already the most successful title the publisher has ever released. "In my 12 years of being here, the drum has been banged that Monster Hunter could sell easily in the West if it was on the right platform and if it embraced online gaming," Turner recounts. "It was a big risk for the Japanese developers to go and do something that might cut off their own fanbase. They were guaranteed three or four million sales in Japan. For a risk-averse Japanese company, that's a great big gamble. Having said that, Japan bought the game in its millions." Molant adds: "The risk was mitigated by Sony's support, and Sony Japan in particular, who felt Monster Hunter coming to home consoles was going to sell some PS4s... and they were right." Back to Turner: "The Japanese market is very interesting. They have a massive Monster Hunter tournament in Japan, which is time-attack based. You wouldn't expect Monster Hunter to be an esports-type thing, but in Japan they've embraced this. So there are still these huge differences, even though it's a game that's popular in both markets now. What we're seeing in Europe is that the co-op play is a much more powerful thing, as opposed to the competitive side, which has really come out in Asia." "It was a big risk for the Monster Hunter developers to go and do something that might cut off their own fanbase." The marketing was also very different. Monster Hunter is well known in Japan, whereas the Western audiences needed educating. "It was almost a new IP in some markets," Turner notes. "Even in some of our more mature European markets, it is still fairly unknown. It has obviously done really well and now the goal is to push on and make it more of a success in the West with the next iterations." Monster Hunter and Resident Evil are the current crown jewels at Capcom, although there are obviously other titles on its slate. There's Mega Man 11, which Turner says is a brand that's remarkably starting to grow again after being almost dead in Europe for a long time. And then there's Devil May Cry. The hack-and-slash genre seems to have declined in recent years, and 2013's DmC: Devil May Cry - Capcom's effort to rejuvenate the genre - disappointed the fanbase. 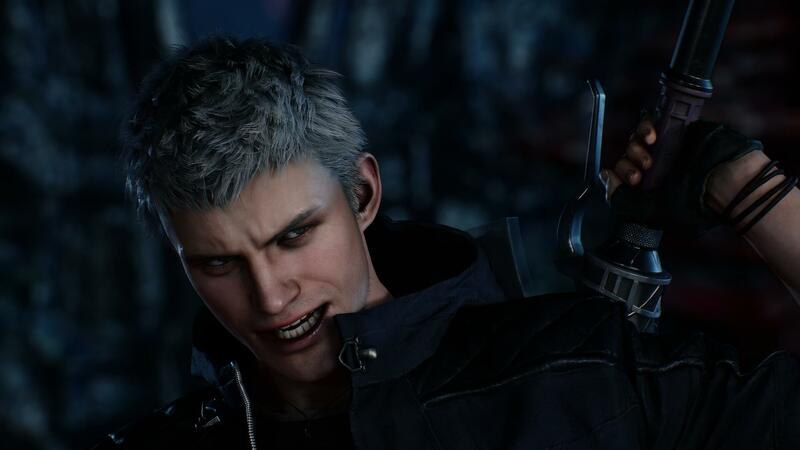 With Devil May Cry 5, Capcom has decided to focus on its core players. "The last game was very good, but there were a few unhappy voices because it wasn't a direct sequel and other things," Molant remembers. "Because of that, the dev team sat down and asked: 'Where do we take that next?' And it was known that the community wanted Devil May Cry 5 to be closer to 1, 2 and 3. And so the project was born. "We can debate whether that genre has the same appeal as it used to... that's hard to say. The project was born because of what the fans want." Turner continues: "It's fair to say that we are very focused on the audience and the feedback that we get. We have seen some horrible stories in the media recently about publishers bending to the will of the internet. We wouldn't advocate going that far. But certainly there is an element of fan service that runs throughout the company. "DMC is an example of that. Fans weren't happy, so therefore we went a different way. It's part of giving back within the remit that we're still a business, we still need it to sell. We want to give things to the fans, we want to support them, but it has to make sense. So we do it within reason. We don't listen to the far extremes of the fanbase, shall we say." "We are looking into the explosion in affordable digital-only titles. That is how we potentially see new IP being born"
Molant again: "This project would never have been greenlit if it didn't make sense business-wise. We rarely have crazy forecasts on any of our games. DMC 5 will please a fanbase that is still quite big." All these sequels may seem like (relatively) safe bets, but what about something new? There was a time Capcom was known for experimental new concepts. The days of Viewtiful Joe and Killer 7 and Okami seem a long time ago. "When we put out our strategy a couple of years ago, we said we were focusing on our core pillars - Street Fighter, Resident Evil, Monster Hunter and others," Turner reminds us. "Some people would point to the cultural thing of risk-avoidance, but we do take risks. RE7 could have gone horribly wrong. And with Monster Hunter World, you're potentially turning your back on a four million domestic market to chase the West." Molant continues: "We are looking into the explosion in affordable digital-only titles. That is how we potentially see new IP being born, by testing the water with smaller titles that are less risky to develop. Maybe we could release a few of these and see if one takes off, and then you can take it further step-by-step, as opposed to doing a AAA with a £10 million marketing budget. That's never going to happen." Turner again: "But it's not off the plans to do some new IP. We have titles lined-up. The development team doesn't want to keep working on the same thing over and over. They want to explore other areas. There is also a lot of scope in some of our universes where we can go and do something new, without having to leap into new territory. "But new IP is certainly still on the radar, and discussed within the development offices at Osaka and Vancouver. It's just difficult to launch successfully in a global market." Concludes Molant: "Especially as a boutique publisher." @Christopher Dring: Don't forget Tech Romancer, Rival Schools, and Quiz & Dragons. I wonder at which point the culture of remakes leads to people stop having kids and start cloning their grandparents. I feel it is sad. Sure, high scrores are something nice, but, achieving that millions and millions of people gets motivated enough to play your game is something even better. RE7 can be a misunderstood piece of art, but when anyone look for Resident Evil and fans activity, they find anything except RE7. What's the point in have high scores if they don't bring passion with it?. @Adam Campbell I think Capcom has the big enough head count to be able to work on a new IP/sequel to existing one and a remake at the same time. @Antonio David Lopez Corpas I think it's not fair to blame lack of commercial success of RE7 on Capcom. Some games aren't appreciated at release (e.g. Wind Waker wasn't liked when it came out), but in time they become classics people buy (such as Wind Waker). And I believe RE7 may be such a sleeper hit. Overall, I feel that Capcom's heart is in the right place. Obviously they need to make money to keep operating, but they don't need all the money in the world. I feel that while they have done some questionable business choices in the past (Cancelling Mega Man Universe and Legends 3 comes to mind), this decision, if it will be supported by their actions, is a good one. I think it's wrong to suggest RE7 lacked commercial success. It was very successful, and Stuart's suggestion here is that the development costs were more in-line, too. But RE7 was a horror game first and foremost. It didn't run down the populist route of trying to satisfy every type of action gamer. That may have cost it sales in the short to mid-term. But ensuring a quality product that is true to what Resident Evil is will always pay off in the long run. DLC for a good Resident Evil should sell better than DLC for a bad Resident Evil. A good Resi's merchandise should sell better. A good Resi's sequel should sell better. And when RE7 gets that inevitable port and remaster on future hardware, it will inevitably perform better than equivalent RE6 remasters, too (see: Resident Evil 4). Typically, quality wins in the end. I think Capcom has the big enough head count to be able to work on a new IP/sequel to existing one and a remake at the same time. With nearly 3k staff and more contractors, I'm sure they do. But that would spoil the joke.